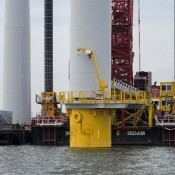 The wind turbine parts are produced by Siemens in Denmark. 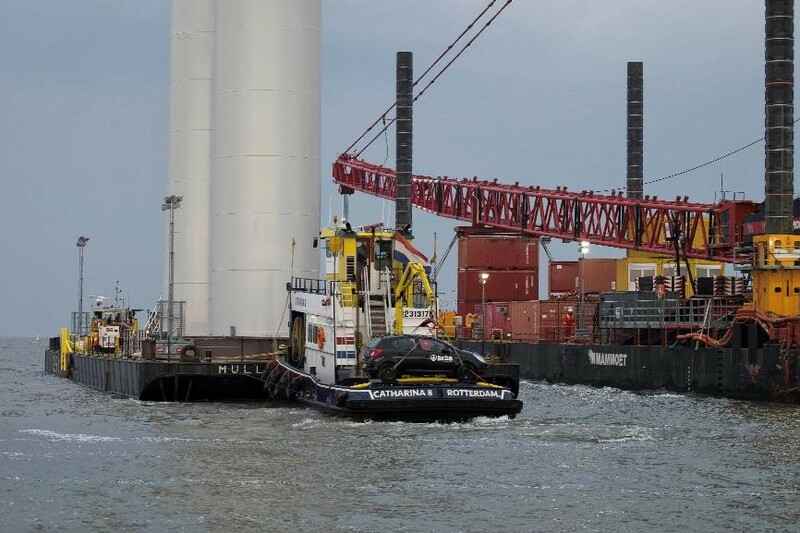 The tower parts are brought into the Amsterdam harbour. 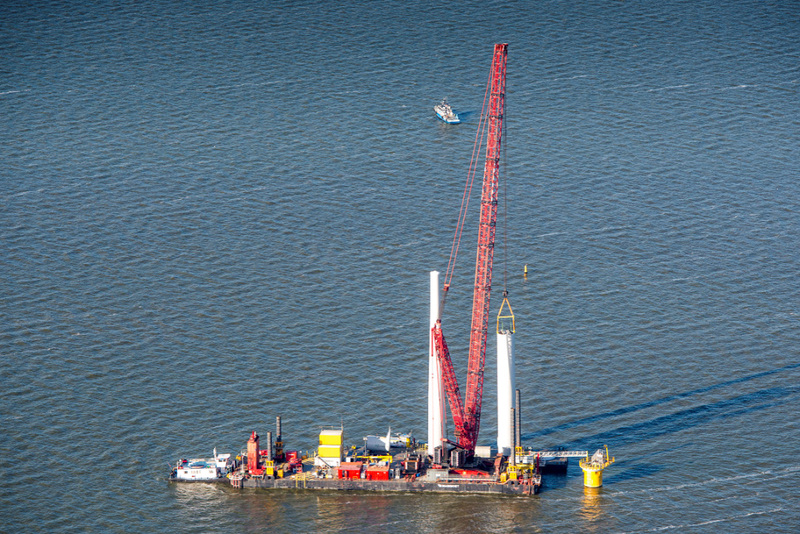 The towers and wind turbines are transported with special transport pontoons from the Amsterdam harbour, across the IJsselmeer, directly to the construction location along the Noordoostpolder dikes. 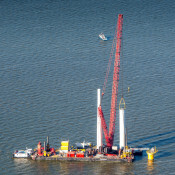 Each transport transports a nacelle and two upright tower parts of 50 and 40 metres tall, comparable to high-rise buildings of 16 and 13 floors respectively. 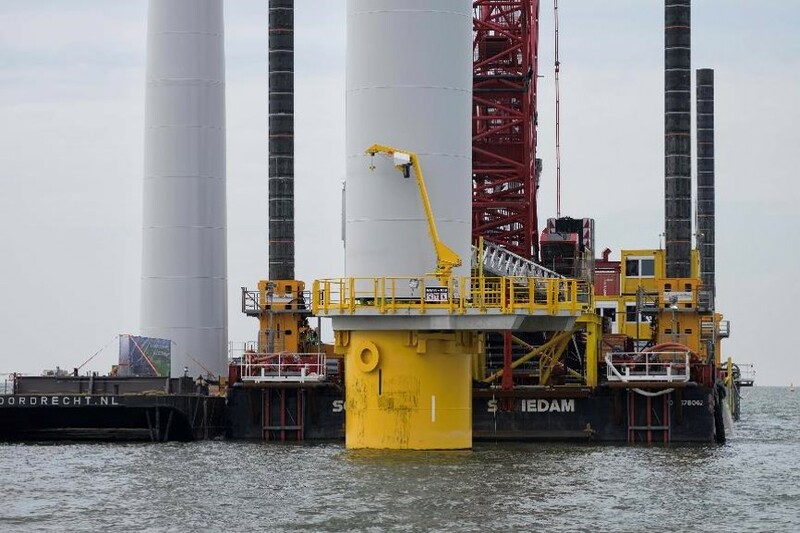 At the construction site, the bottom tower section is placed on the foundation by Van Oord/Mammoet, after which the second part is placed on top, followed by the wind turbine.